I've been busy this week working on re-mounting The Seahorse after last week's disaster, so it's only a quick video this Friday. It's a basic problem, scale modelling 101 type stuff: how do you remove superglue from your fingers? I regularly manage to gloop CA glue over my fingertips, and I hate the funky, tight skin sensation that accompanies that for the next few days. 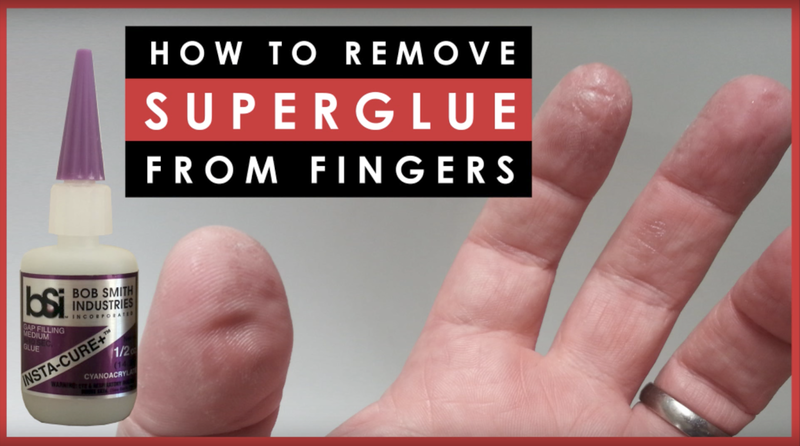 With this simple trick, it's easy to remove the superglue from your skin and get on with building. Scale model basics: How to remove superglue from your fingers. Am I a really sick weirdo because I kind of like the feel of CA dried on my fingers? Reminds me of when I was a bass player and had calluses on the tips of my fingers that would have possibly allowed me to poke them through steel. Only 38 days to go!